The Right Rev Dr Grant LeMarquand is Area Bishop for the Horn of Africa in the Diocese of Egypt with North Africa and the Horn of Africa. The Episcopal Area of the Horn of Africa includes four countries: Eritrea, Djibouti, Somalia and Ethiopia; The majority of Anglican churches are in western Ethiopia. After serving as a parish priest in Montreal, Quebec, Canada, he taught New Testament at St Paul’s United Theological College, Limuru Kenya and then at Wycliffe College, Toronto Canada where he also studied for his doctoral degree. From 1998-2012 he was Professor of Biblical Studies and Mission and Trinity School for Ministry in Ambridge, PA USA. He has written extensively on the subject of African biblical studies. Dr Wendy LeMarquand is a family physician with 33 years experience in practicing general and tropical medicine in Canada, Kenya, Pittsburgh, and now in Ethiopia. She has extensive experience in teaching and speaking on prayer and healing, and currently works with the leaders of the Mothers’ Union in Gambella, equipping them to teach in the rural villages. 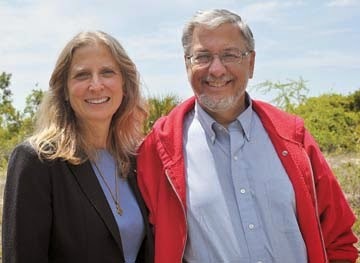 Grant and Wendy are missionaries of the Society of Anglican Missionaries and Senders - USA. They have two grown children, David and Chara, who live in Canada.